All-Points Technology realizes the meanings of – and perhaps more importantly, the distinctions between and critical interrelationship of – the terms “permittable” and “buildable” and applies a common-sense approach to our project evaluations and recommendations. APT offers due diligence, compliance evaluations, permitting, wetlands and natural resources management, Geographic Information Systems analysis and mapping, and graphic support services – from initial project conception through design permitting and construction. APT offers due diligence services ranging from pre-acquisition environmental site assessments and constraints/opportunities analyses to feasibility studies. Our goal is to obtain a thorough understanding of a project’s potential for success by identifying the physical and regulatory limitations early in the development stage. This allows our clients to make informed decisions in a timely and efficient manner. Conducting the appropriate level of due diligence is a critical component of projects where potential risks are a concern – meaning nearly any property transaction, development or real estate management scenario. Verifying that a transaction is consistent with their acquisition/development criteria. APT assists clients with navigating local, state and federal environmental permitting compliance requirements, providing them with the expertise to make informed decisions throughout the regulatory approval process. Perhaps of equal importance, APT promotes avoidance of permit triggers when practical through review of alternatives that satisfy project objectives while achieving or maintaining regulatory compliance. In addition to federal and local permitting expertise, APT also has extensive experience representing clients in front of the Connecticut Siting Council. We have prepared supporting documentation and served on expert witness panels on over 300 Applications and Petitions. Field evaluations of wetlands and wildlife include data collection and analysis using the latest in mapping technology. Field data is collected using Trimble GPS technology with sub-meter accuracy and catalogued using Trimble’s Terraflex cloud-based software. This data is imported into ESRI ArcMap software for development of a comprehensive natural resource database for efficient review of project alternatives and assessment of resource impacts and incorporation into a variety of GIS-based map products. APT uses ESRI GIS software and cutting edge GIS technology to gather, store, analyze and display all manners of spatial data in support of projects. We routinely integrate GIS applications with GPS, AutoCAD and other technologies to create inventive solutions for our clients. 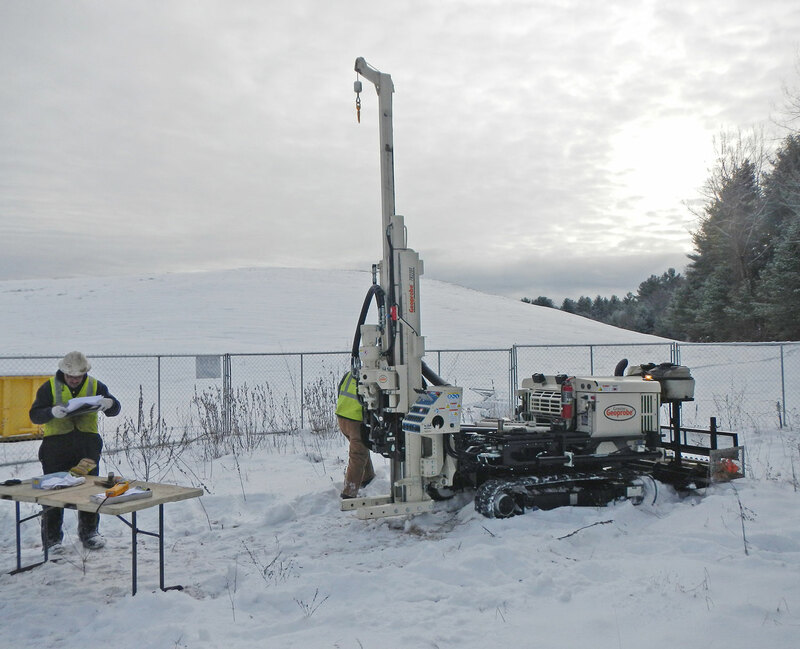 APT performs GIS services for numerous large linear projects for major utility companies in Connecticut and Massachusetts. 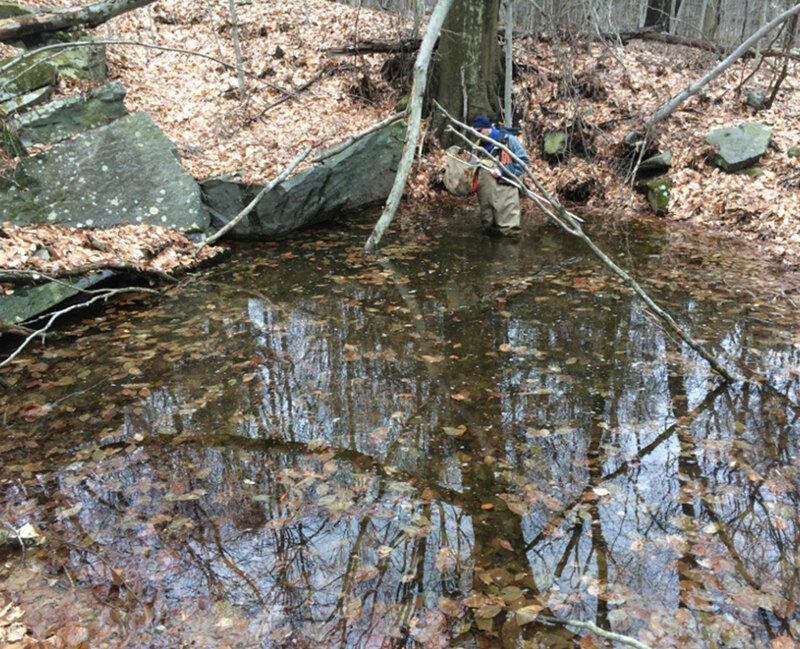 Services include assessment, production of GIS map books for general maintenance projects and submissions to the Connecticut Siting Council for Applications, Petition, Sub-Petition, and Development and Management Plan filings, as well as Stormwater Pollution Prevention Plans to CT DEEP. Map sets depict wetland and constructability impacts on proposed facilities, and new rights-of-way development. GIS services support data collection efforts, data development , analyses and mapping required for siting and permitting. Past projects have included the development of GIS applications, such as mobile data collection applications and Google KML technology. The structure of our GIS mapping is developed to suit large linear projects by producing high quality map books that utility clients rely on to evaluate environmental constraints and development opportunities, structure locations/replacements, upgrades and new development within transmission rights-of-ways. APT project scientists/engineers provide in-field evaluations and collect key data for incorporation into the GIS database, including clearing/harvesting areas, preliminary grading, stormwater runoff and de/retention, retaining wall necessity, access, development of staging and stockpiling areas, and identification/protection of potentially sensitive environmental areas/receptors. APT’s computer design and drafting support team layout construction pads, grading, and associated access routes to produce detailed Stormwater Pollution Prevention Plans and Development and Management Plans. Our unique GIS and AutoCAD integration, customized map layout, and symbology has become the industry standard. APT supports GIS applications for a variety of proposed renewable energy projects in Connecticut and Massachusetts. 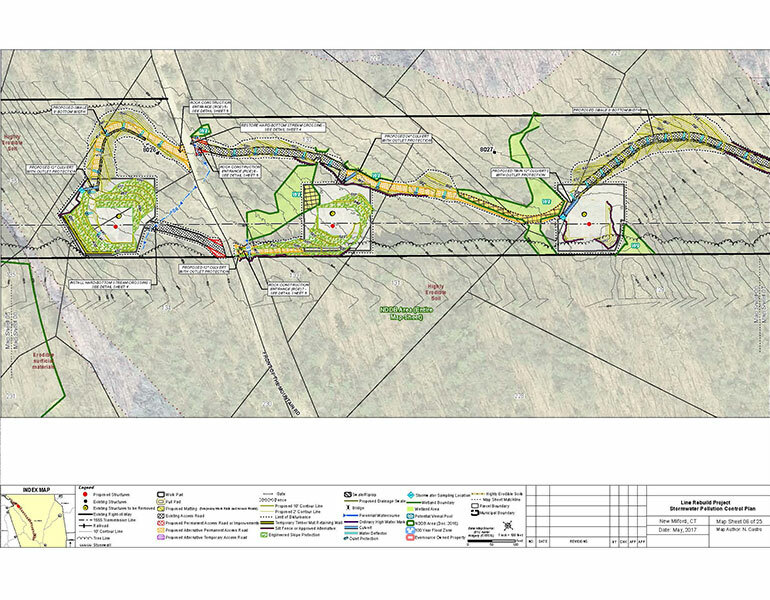 Projects include assessment, permit mapping, AutoCAD conversion, and calculating wetland and constructability impacts resulting from proposed facility installations. AutoCAD files are imported into GIS to spatially map proposed facility layouts with field-delineated environmental resources. 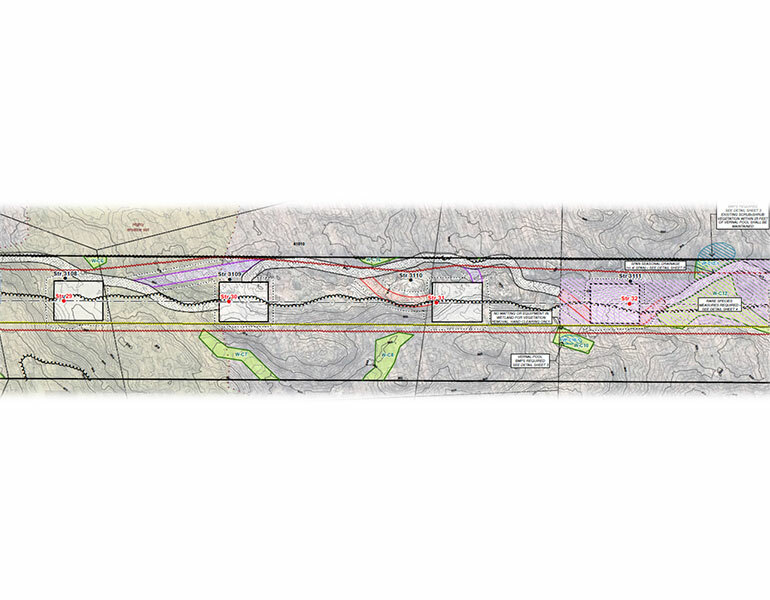 This allows APT to evaluate potential impacts to sensitive environmental resources and work with the client and engineers to design a layout that minimizes environmental impacts while still achieving the project’s energy production goals. APT provides GIS services to the Telecommunication industry throughout New England and New York. GIS is utilized to spatially evaluate proposed facility locations and analyze potential environmental, historic, cultural and aesthetic impacts that may result from the construction of a new facility. APT works directly with clients to mitigate any adverse impacts that may result from the project. Environmental constraint mapping is prepared for agency consultations, permitting and inclusion in final report documents. 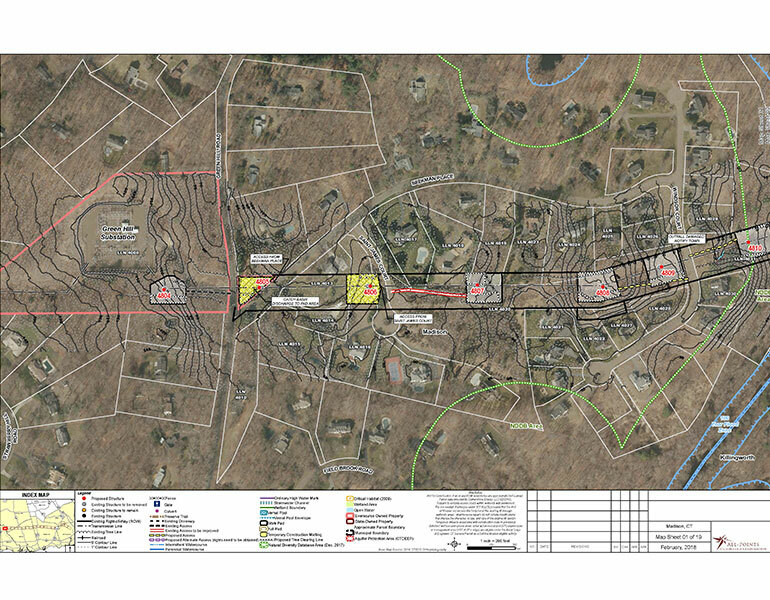 APT also utilizes GIS to prepare Radio Frequency and Signals Mapping in support of local and Connecticut Siting Council filings. APT produces a wide range of visualization analyses and simulations, including precision 3D modeling, photography, photo-renderings, animation sequences, graphics and mapping. We have developed unique tools and models to predict view sheds associated with telecommunications and utility structures, wind farms, fuel cell installation, solar arrays, transportation and utility corridors, industrial and commercial developments and other small and large-scale facilities. These efforts have been incorporated with great effectiveness into public outreach, siting and regulatory permitting procedures. APT uses drones for obtaining high resolution video and/or digital photographic imagery of project sites, components, and wildlife. Our team of licensed and fully insured pilots ensures that these services comply with all Federal Aviation Administration requirements and applicable federal, state and local laws regarding the use of unmanned aerial vehicles. 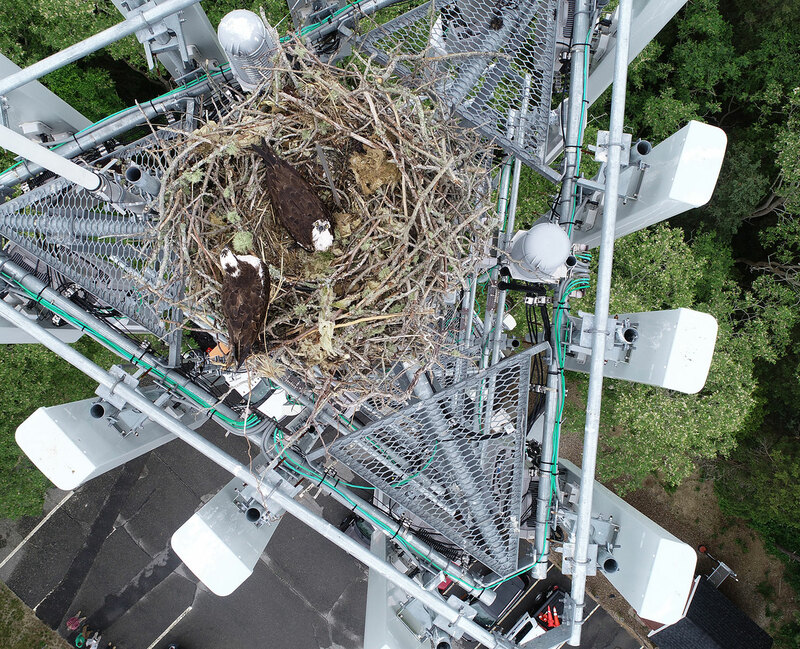 We specialize in conducting nest inspections, aerial imagery for visual evaluations and infrastructure assessments.